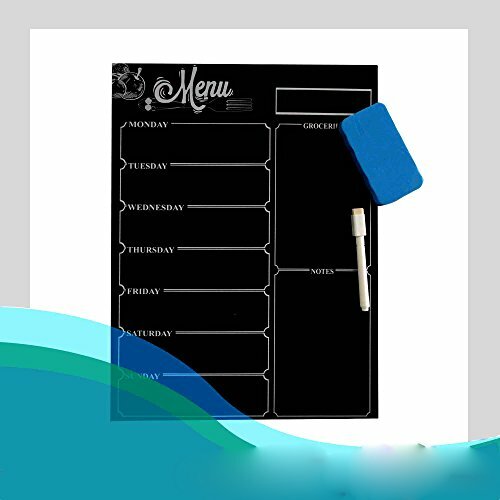 portable bulletin organization whiteboard sign. Stylish with compliments in houses or restaurants. Large space at 10.6"W*15.7"H and Large Size of Each Grid. Have Plenty of Space and Then Some for Writing Everything You & Kids Need. LOOKS GREAT - Use in home, office, kitchen, business, classroom, or dorm to brighten up any space.